It's no secret that I can't wait for Fall, and with it being about two weeks away, I couldn't resist putting together a maroon ensemble! 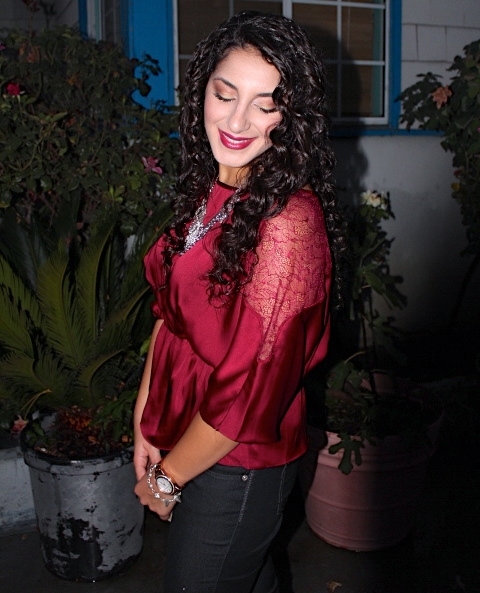 For this outfit, I went for a satin, maroon dolman blouse with lace detailing. I am obsessed with this color in general, but especially for Fall. It's going to be the "it" color this season, so be prepared to see it everywhere! To make the outfit more feminine and romantic up top, I added this lace filagree bib necklace and kept the rest of the jewelry pretty simple as this is the focal point of the outfit. 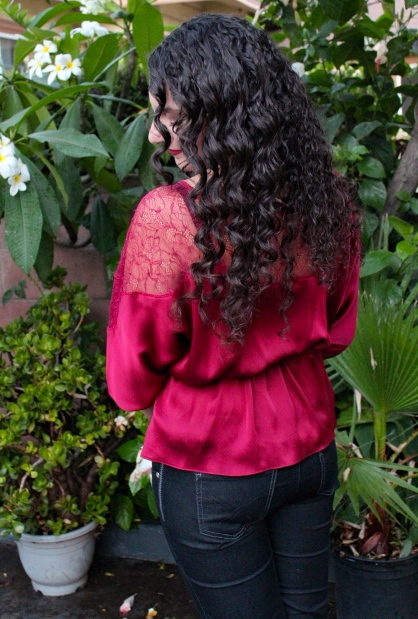 I love how this blouse cinches in at the waist and the fact that the lace detailing continues all the way around the shoulders and neckline. For other accessories, I'm wearing my usual rose gold Michael Kors watch and the Silver Swan bracelet from Jewelmint. I love how the nuggets of the bracelet contribute to the edginess of the outfit. I'm also wearing a ruby ring. It started getting dark, so we had to whip out the flash! 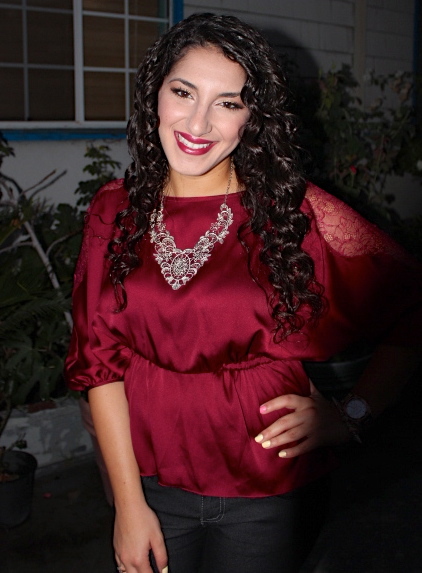 For makeup, I took advantage of the maroon blouse and played up a darker burgundy lip and neutral, cranberry eyes. I used Cranberry by Mac to liven up the crease a bit and add a maroon element to my eye makeup. half lashes cut from a pair bought in bulk from eBay. Revlon Buttercup and Sinful Colors Beautiful Girl (seen here).